There is no parking available at the Terrace. Visitors are encouraged to use public transport. * Opening hours are subject to change for certain reasons. 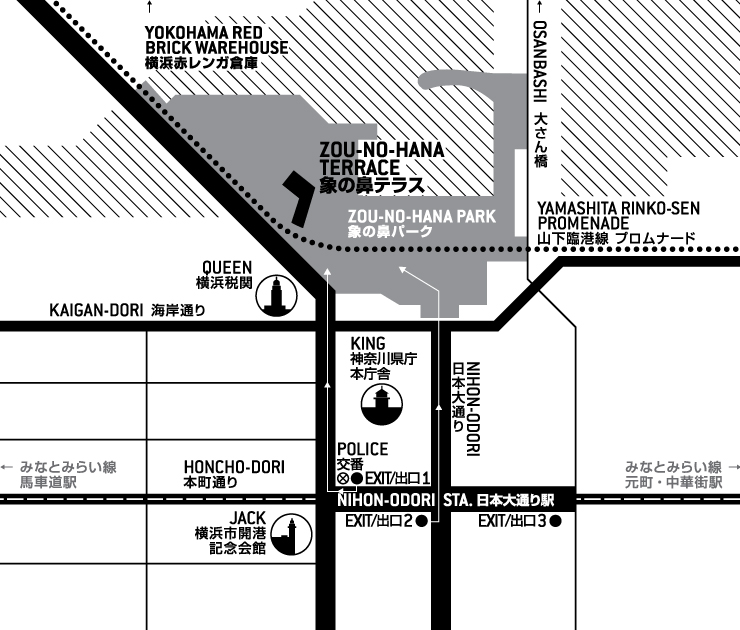 * ZOU-NO-HANA TERRACE is operated by Wacoal Art Center. In cooperation with Culture and Tourism Bureau, City of Yokohama. City of Yokohama and Wacoal Art Center, All rights reserved.